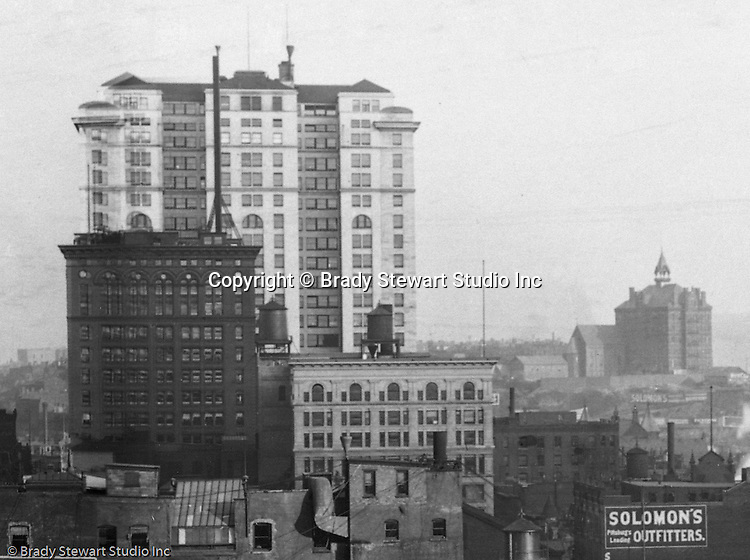 Pittsburgh PA: View of the Frick building and Duquesne College from the roof of the Empire Building. Building was completed in 1902 and is still in operation today. The building overshadows the smaller Carnegie Building (in front of Frick Building).